Open House Tour Must Have! 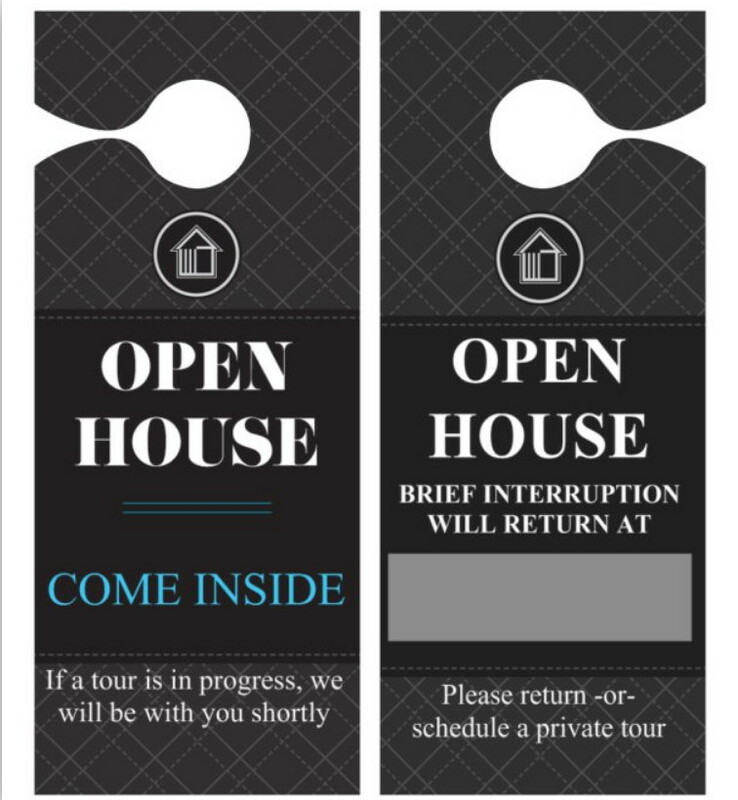 10 Pack of Open House Door Hanger Inviting Buyers Inside Rather than Disrupting Current Tour. Great For Realtors & For Sale By Owners FSBO. Convenient for Busy Open Houses! A 10 Pack of Door Hangers for Open House and Caravan Tours. The front of the door hanger is great to help invite Buyers inside rather than disrupting current tours. The back can be useful in certain situations as well. The back of this door hanger can be useful if you leave to go introduce yourself to neighbors and invite them to an open home. Sometimes if an Open House is slow, we can visit neighbors to advertise the open house and to generate activity and talk about the home you have for sale.The back side of this door hanger is less likely to be used, but in the event that you are called away from a home during an advertised open house, you have a tool to help offset the disappointment a homebuyer might feel. 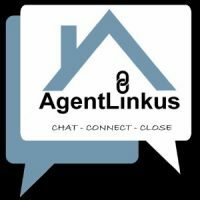 Let Buyers know when you will return and offer the alternative of scheduling a private home tour at their convenience, to make up for their inconvenience when they discover your unexpected absence. REALTOR OPEN HOUSES. An affordable MUST HAVE for any Real Estate Broker to welcome guests to come inside to wait for a tour. In a busy open house, this door hanger assists a busy Broker on instructing unattended potential Buyers upon entry that they are welcomed to come in and to expect to greeted shortly. FOR SALE BY OWNERS (FSBO). If you are hosting an Open House, you will likely be hosting it alone, and traffic can be hard to manage for Sellers. Real Estate Brokers will likely have these little extra touches to help guide potential Buyers and make them feel comfortable. CONSERVE ENERGY. KEEP THE FRONT DOOR CLOSED. Many times during an open house and Caravans, the host will leave the door cracked open as a way to invite people inside. HELPS A REAL ESTATE BROKER AND BUYERS KEEP COOL. When the door is left open it not only lets heat and air escape, the result can be a sweaty Real Estate Broker to show them around. Yikes! Not cool! HOME MORTGAGE LENDERS OR ESCROW OFFICERS. This affordable gift is a nice gesture for your favorite Realtors holding open houses (while promoting their professionalism!). Additionally for the lenders who attend open houses with their favorite Brokers to present homes to the public, bringing a door hanger to keep traffic organized is a great help!